No. 2 GTPI Red Heifer in the World SELLS Friday! The No. 2 Red & White heifer in the world SELLS this Friday at the More Fun in the Sun Sale - Lido Edition. Hollendale Jedi Crim-Red *VRC is an unique red Jedi daughter with +2683 GTPI and combineds +2314 PTA Milk with +67 Protein, and over 2 points on Type! Dam is a fresh VG-86-2YR Tango daughter Ri-Val-Re TG Crimson-Red. 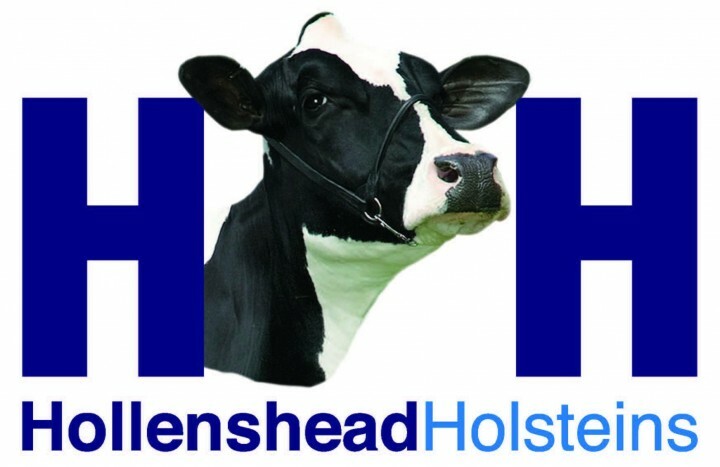 Also consigned by Hollenshead Farm is Hollendale Jedi Petunia GTPI+2737, this high ranking Jedi daughter is backed by Very Good daughters of Supersire and AltaRoss going back to Clear-Echo 822 Ramo 1200 EX-94 2E DOM! 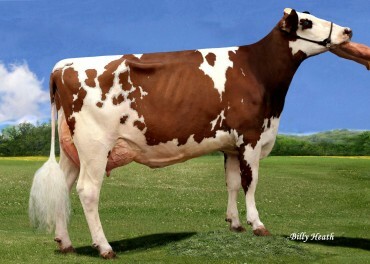 Hollendale Jedi Crim-Red sells as Lot 18 and Hollendale Jedi Petunia sells as Lot 23. 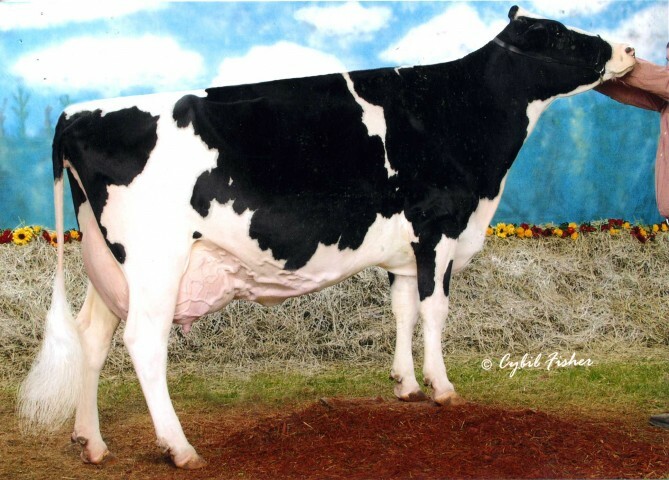 New donors have been added to the breeders page of Hollenshead Farms, PA, including the Doorman daughter from Cookview Goldwyn Monique EX-96, 1st 4-Year-Old, Res. Sr. & Res. Grand Champion World Dairy Expo & Royal Winter Fair 2013! 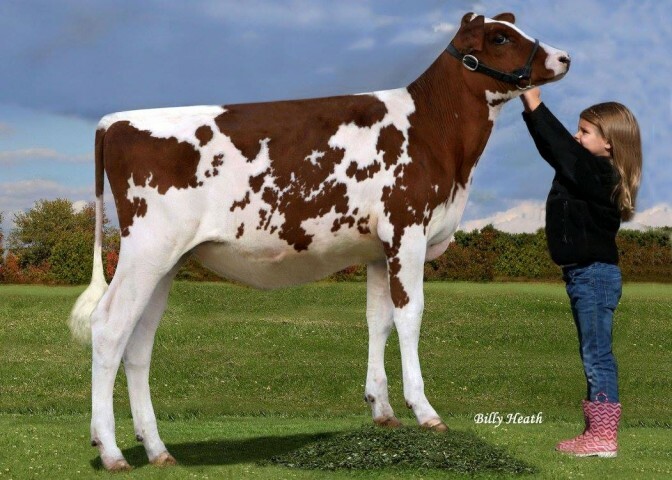 Also new in the program of Hollenshead are Ri-Val-Re TG Crimson-RED, an Unique Red Tango and dam of the #1, #3 and #5 Variant Ref Heifers in the USA! And the VG-88-2YR full sister to Montery View-Home Mcc Alaska and +2530 Megasire daughter from an unique line of the Bellwood Linda's. The Hollenshead Genetic Strides Round 1 was held on Saturday, October 24 averaging $2650 on 110 lots. High seller of the day was Lot 1: Mapel Wood Epic Giggle-Red VG-89 with a GTPI of +2076 (pictured) sold for $10,100 alongside several daughters. Lot 52 was the second high seller, this Mogul and Supersire free heifer sold ready to flush had a GTPI of +2579 and sold for $10,000. The Hollenshead Genetic Strides Round 1 Sale will be held tomorrow, October 24. A tremendous lineup sells CLICK HERE to view the catalog. 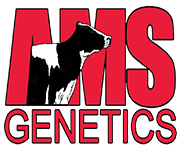 Catalog is NOW ONLINE for the Hollenshead Genetic Strides Round 1 Sale to be held Saturday, October 24 in Mercersburg, Pa.
Holstein Plaza welcomes Hollenshead Farms, Mercersburg PA, online. Hollenshead Farms is working with several exciting donors at this moment including two Halogen sister over GTPI+2500 from the full sister to the popular young sire Woodcrest Mogul Yoder at Select Sires. Other donors include an Unique Red VG-87 Epic daughter and a GTPI+2499 Jabir from the Coldspring Dur Chan 109 EX-95 family! CLICK HERE for a link to the breeders page.